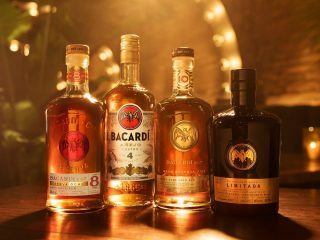 The Cuba Libre perfectly captures the independent spirit of BACARDÍ. Mix BACARDÍ Carta Oro rum with cola and lime juice in a high ball glass. Finish with a lime wedge and drink a toast to freedom. To build this legendary cocktail, fill a highball glass with ice. Then squeeze 2 lime wedges over the ice and drop them into the glass. Pour in the BACARDÍ Carta Oro rum followed by chilled cola, and give it all a gentle stir.